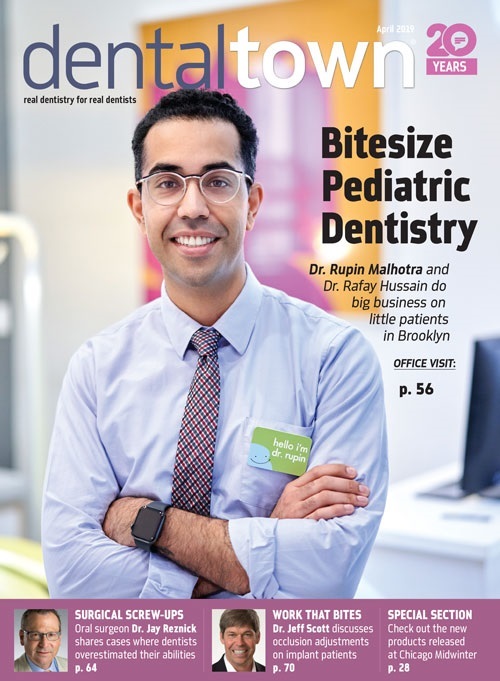 Dentaltown Magazine talked with active Townie and restorative dentist Dr. Richard Rosenblatt to find out about his newly remodeled bread-and-butter practice, his teaching escapades and what Dentaltown has done for his personal and professional life. First off, what drew you to dentistry? Rosenblatt: My father is a dentist. He is one of the best clinicians I have ever seen. Once I saw the amazing things he was doing to help his patients, and how much he loved doing it, I knew I wanted to do the same thing. Rosenblatt: My practice philosophy is to treat every patient in my practice like a close friend or family member. For those who know me, it is pretty much the way I live life. I like to have a lot of fun and make people laugh. I want people to actually enjoy coming to the dentist and I'm blessed to have people who work at my practice who live by the same principles I do. My employees were working here before I joined the team, and my patients love them. I actually bought the practice because when I met the seller, Yolanda and Connie (staff ) were in the room to see if they liked me. I fell in love with them immediately and when I walked out the door, I called my accountant and told him I needed to buy the practice because of the staff! My dad taught me a few very important things about dentistry before I even got into school. He told me to 1) talk to your patients like they are your friends or family and gain their trust, and 2) learn how to give a great painless injection. At the end of the day most patients only know two things about us - the dentist was nice and it didn't hurt. You just remodeled your office. Tell us about the process. What steps did you take? Rosenblatt: My office decor, especially the front desk, was a bit dated since I purchased it almost six years ago. It started with my landlord wanting to expand a bit into my existing space, and also, I wanted to add cone beam. It worked out that my landlord made it easy for me to make this happen, so I decided it was time to update the office. The design of the office matches the high-tech options we give patients. Rosenblatt: I wanted the place to look clean and up-to-date without patients having to constantly ask me which room they paid for! I'm not a flashy person and I just wanted some earth tone colors and such to give the place a relaxed feel. What is your favorite office feature now? Rosenblatt: Believe it or not, the walls. When I bought the practice, the walls had this extreme texture to them in a dark color, and I never liked it. During the remodel, I had the contractor remove the texture. Now they're just basic walls and we accented them with new molding along the floor. It made all the difference in the world to me. We also needed to update our front desk. Our office is the first place people see when they walk into my office building and we had a Formica desk from the 1980s. The combination of that, the old metal filing cabinets and the weathered carpeting made the office seem out of date. The other thing I like is the bathroom. We put in a granite countertop and a new sink along with a fresh coat of paint. It just did wonders. Rosenblatt: I would do the entire project again in a heartbeat. Makes me smile every day when I walk in. I had the greatest contractor in the world. He did two things that you never hear in a remodel - he finished on time and under budget! 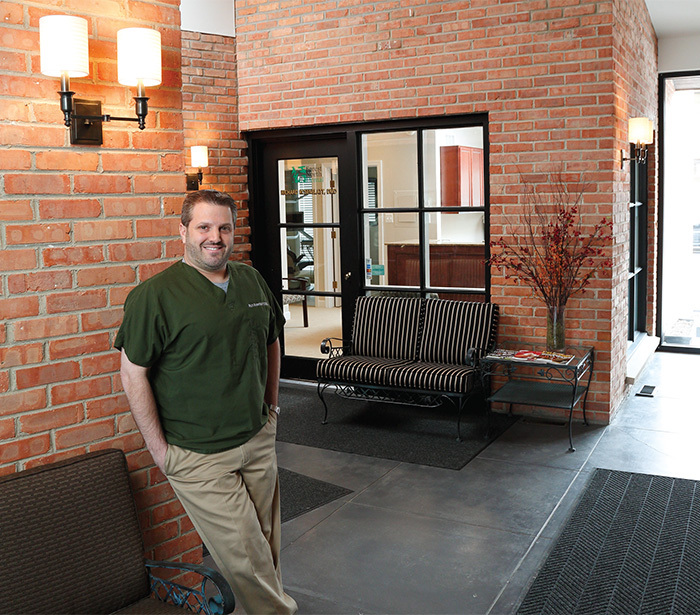 What advice do you have for other dentists who would like to remodel? Rosenblatt: If you are going to remodel, have a plan for exactly what you want to do. Get some referrals from other docs who have had remodel work done and whose opinions you respect. Find a contractor with whom you mesh. How did you learn about Dentaltown? Rosenblatt: It has been so long that I've actually forgotten how I learned about it. I've been a very active member since I started in 2001. My 10,000 posts show how often I'm on the site! You're a very prominent Townie. What has Dentaltown done for your professional life? 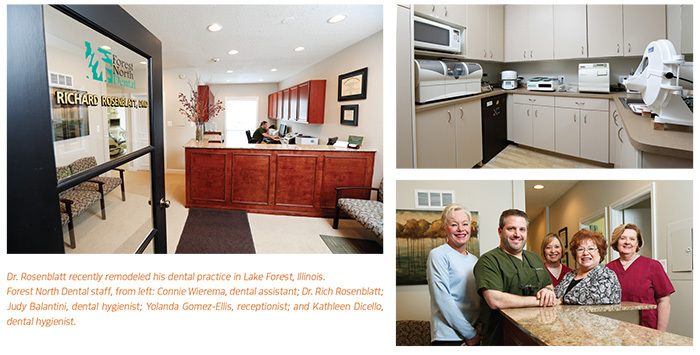 Rosenblatt: Dentaltown is the driving force for anything and everything I do in dentistry. I learned how to bond and how to do endo on Dentaltown. I learned about CEREC. I learned about all the tips and tricks for various procedures that I incorporate into my daily routine. I could go on and on about what it has done for me clinically. It has also allowed me to flourish in an area I never thought I would, and that is on the teaching side. Early on, when the office I was working in purchased a CEREC, I was on Dentaltown all the time trying to get info. I became good friends with the people who were posting about CEREC. My closest friendships have been created from this amazing online community. It is weird to tell my kids that I met my best friends in the world on the Internet (the place that I don't want them meeting people). I fly all over the world to hang out with strangers I met online. A lot of what I've accomplished I owe to my relationship with people like Dr. Sameer Puri and Dr. Armen Mirzayan. When did you start using it? Why can you not live/work without it? I would cancel patients if I didn't have my loupes and light! I'd be afraid I might kill them! It makes every procedure I use it for faster and more predictable. My patients and I never want to go back to PVS impressions or two-visit crowns. It allows me to better diagnose pathology in my patients. I can't believe all the things I have found that I would have missed with PAs. The improved resolution is amazing and I hated having to develop film. I have been using Schick for about 14 years, but I just got the new sensors and there is just an amazing difference! What is a typical day in your practice like? Rosenblatt: I have a very small, quiet practice. I'm a one-patient-at-a-time kind of guy, a monogamous practitioner, if you will! I used to work in a practice that saw 60-80 new patients a month. I felt like I had to practice on roller skates at times. I don't have that kind of practice here. We see emergencies as they happen, but they tend to be only on occasion. I'm basically a bread-and-butter, quadrant dentist. I do a lot of restorative and CEREC. How has the economy affected your practice? Rosenblatt: The economy really hurt my practice. I'm in a very affluent area and thought it would be bulletproof, but boy, was I wrong. I was shocked at how many people were going to leave because we were not on their plans. I was really getting nervous. We had very few new patients, and the patients I did have were really reluctant to get treatment done unless they hurt bad enough. Dr. Tarun Agarwal gave me some savvy business advice about joining PPO plans. It may not work for everyone but it saved my practice. 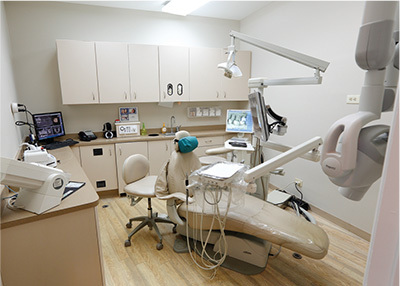 What is your favorite procedure or part of dentistry? Rosenblatt: My favorite procedure is doing CEREC restoration on patients. I love the "wow" factor and the one-visit aspect. I don't miss temporaries or seat appointments. 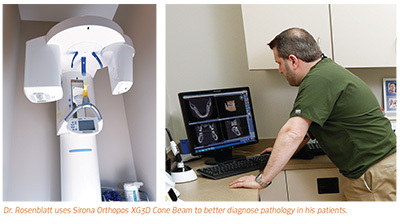 What has me really excited going forward is my purchase of the Sirona XG3D cone beam and getting more into guided implant surgery and integrating the technologies to allow me to do prosthetically driven implant placement and restorations. I'm just blown away by cone beam technology! Describe your most successful or rewarding experience in your professional life. Rosenblatt: I think of these as two different things for me. My most successful was speaking to an overcrowded room at the CEREC 25th anniversary meeting in Las Vegas. I could not believe how many people came to hear me speak. I don't know if I've ever been that excited, nervous and thankful all in one moment. The most rewarding was doing a charity event at Chicago Bears training camp a few years back where my good friend Tracy Durrett asked if I wanted to do a day of dentistry on under privileged kids. What a fantastic feeling it was to get hugs from the kids and parents who just could not afford dentistry. I got to bring my son along to help and he got to meet a bunch of players who had come out to support it. It was a really cool moment for me as a dentist and a dad. Rosenblatt: I'm all about family when I'm not working. I have a wife, Aimee, who does it all. When the economy went bad and the practice slowed down, I had the opportunity to ramp up my speaking opportunities, but this meant being away from home. My wife didn't even bat an eye. She is so supportive. I have three kids - Alix (14), Jack (12) and Olivia (5) - and I try to spend as much time with them as they will let me.